I think my favorite fruit is the blueberry. I could eat them by the gallon. I cant say that for all fruit. 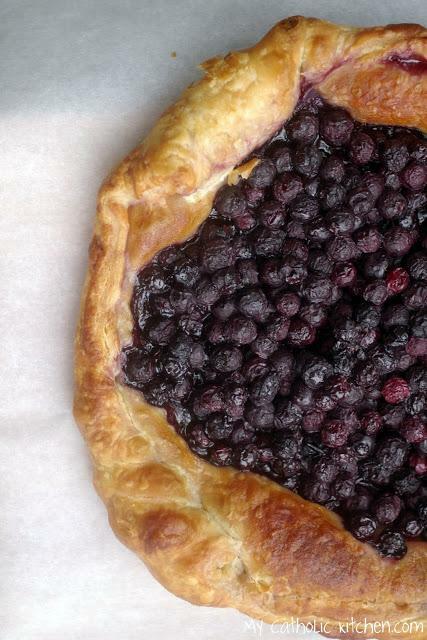 The blueberry is packed with blue goodness. It is a powerful antioxidants and is chock full of vitamins and minerals. 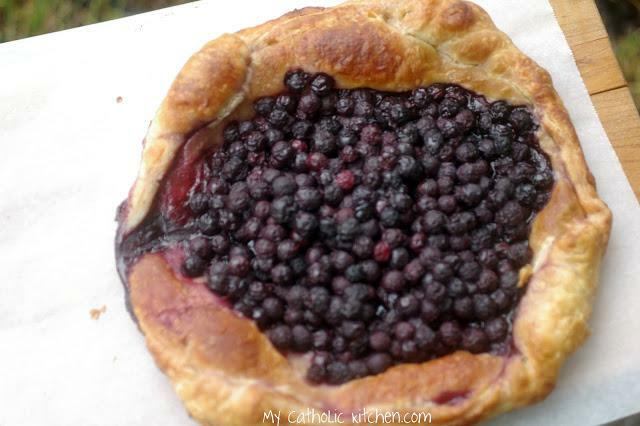 So, when I was trying to decide what fruit to use in the tart, the blueberry was first choice. Now you can use any ripe fruit you like. For instance I guess peaches would be good. In a large baking sheet roll out the puff pastry and lightly flour the top. In a medium bowl combine blueberries sugar and cornstarch. Spoon blueberry mixture in to the middle of the puff pastry. Fold up the sides of of the puffed pastry and bake 30-35 minutes. 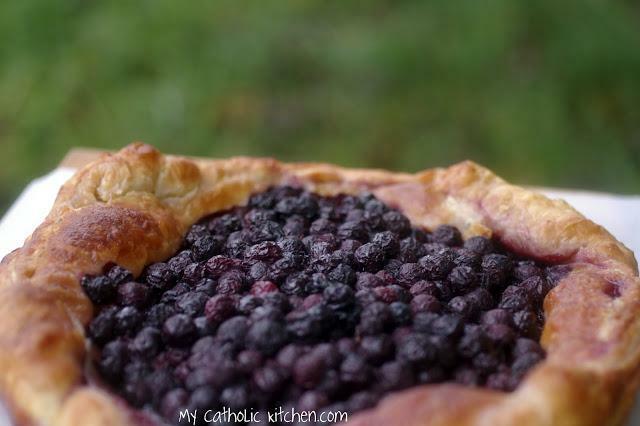 The crust should be golden brown and the blueberries bubbling.